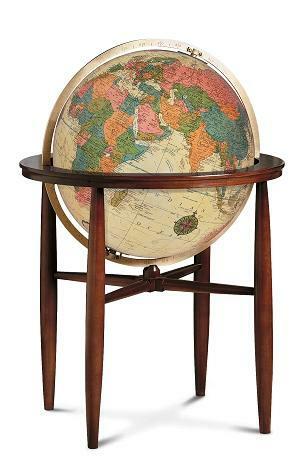 The Finley floor globe has a 20' globe diameter, made in an antiqued white finish that resembles old parchment. 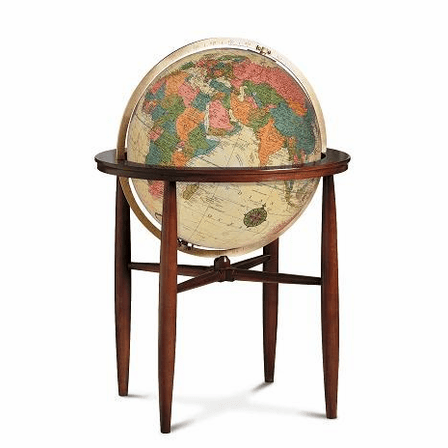 The surface is covered with a hand-cut, hand-applied map, with a light that beautifully illuminates it from within. 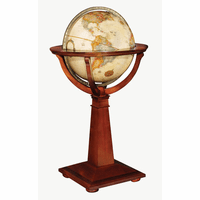 The globe is held in place by a fully-engraved aluminum meridian in a brushed brass color that complements the antiqued finish. 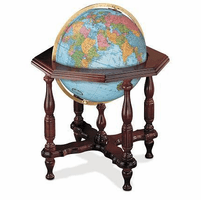 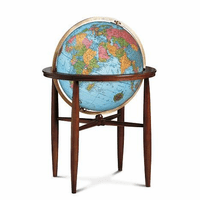 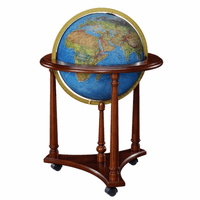 A walnut-finished hardwood floor stand has 4 wide legs, joined by spokes, and a band around the center of the globe.